Comcast's offer of $159 per TWC share is very close to TWC CEO Rob Marcus's proposal to sell the company to Charter for $160. 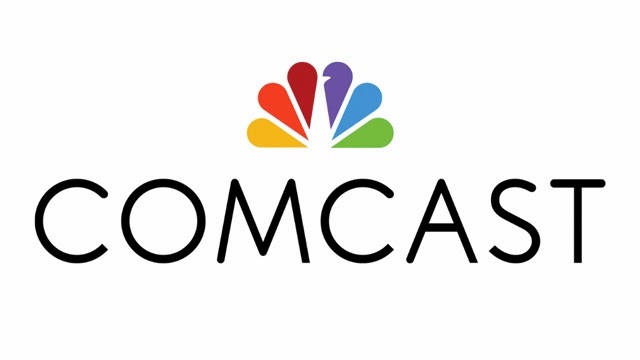 Comcast has also offered to divest 3 million TWC subscribers, presumably to address concerns that the merged company would be too big; the "cats & dogs" of TWC's former national division would be likely divestiture candidates, unless some of them are contiguous to existing Comcast systems. Because Comcast and Time Warner Cable have few systems which compete directly with each other, there would be little direct impact on consumers -- their number of choices of providers would not be reduced. Consumer Reports looks at it this way. Comparing the impact on competition to the stillborn AT&T T-Mobile deal is off-base. The deal is good news for the channels of NBC Universal, which now are more likely to gain carriage on Time Warner Cable's systems. NBCSN and Golf Channel, which are carried on digital in Time Warner Cable's New York City system (link is to .pdf), will likely end up with parity (expanded basic) carriage with ESPN. The vendors that sell to the companies (non-NBCU programmers, hardware companies, billing systems providers) who will now be dealing with a larger customer and fewer attractive alternatives if they say "no" are the biggest losers if the deal goes through. Charter is likely a loser if the deal closes. If it sees increasing its scale a business imperative, the biggest available target will be off the market. Cox and Cablevision are the next biggest available companies and they have rebuffed multiple offers to sell. The cable companies smaller than them (e.g., Mediacom) are much smaller with fewer than 2 million subscribers. Charter would have to buy nearly all of them to increase its scale as much as a Time Warner Cable deal would have. Another loser might be Apple. TWC appeared to be creating an app for the Apple TV box; Comcast hasn't been, seeing its X1 guide as preferable. Closing price of CMCSA on 13 Feb 2014 (the date the deal was announced) = $52.97. TWC = $144.81. CMCSA x 2.875 (stock exchange ratio) = $152.29. Implies some uncertainty about the deal closing. Update (14 Feb 2014): Mark DeCambre on the website Quartz quotes a Gekko-like Goldman Sachs research note praising the deal for giving pricing power to the new company with the charming pull quote "M&A that drives an industry toward oligopoly is the good kind." Update (16 Feb 2014): Paul Krugman's column in the New York Times. Barons of Broadband. Pull quote: "The truth, however, is that many goods and especially services aren’t subject to international competition: New Jersey families can’t subscribe to Korean broadband." Update (18 Feb 2014): Another likely loser with this deal is Netflix. TWC was in talks to carry/sell Netflix to its video customers, something Comcast has rejected. Now, per Bloomberg, "the talks are on hold". Update (19 Feb 2014): As my former colleague Howard Homonoff astutely notes, Google Fiber's announcement that it will enter additional markets is very good news for Comcast in securing government approval for the deal. Update (19 Feb 2014): Another loser in this deal may be CBS which would see the TWC systems move from the recently-and-contentiously-negotiated deal to an older, more distributor-favorable Comcast deal, according to this LA Times article. It is standard in cable affiliation agreements for the acquirer to have the right to add one or all "after-acquired systems" to its affiliation agreements and delete the systems from their prior agreement. In fact, Comcast would likely do this for all its agreements that are more favorable than TWC's (and should TWC have any more favorable deals than Comcast, Comcast might be able to move its incumbent systems to those newly-acquired deals). Update (20 Feb 2014): Bill Niemeyer of The Diffusion Group believes that John Malone may not have really wanted Time Warner Cable for Charter because the Comcast/TWC merger noise creates an opportunity for Charter to act under the radar. Maybe, Dr. Malone does prefer to be out of sight of the regulators, but I find it hard to think that anything Dr. Malone does will go unnoticed. Update (20 Feb 2014): DirecTV's CEO thinks the deal should get "appropriately scrutinized". In the past, DirecTV has criticized Comcast's dealmaking for its regional sports networks.